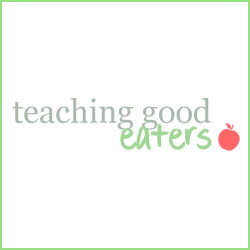 Teaching Good Eaters: Don't be Afraid of Flavor! Spice it Up! Don't be Afraid of Flavor! Spice it Up! There seems to be a tendency in our country to serve children bland, tasteless food. The assumption is that kids don't like spices (even if they're mild!) 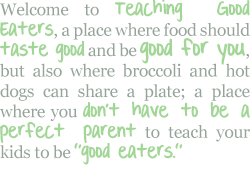 I have simply not found that to be true, and I believe that teaching kids to embrace flavor is a great way to help them be better eaters. Since I have 5 spice related things that I'm sharing today, I'm linking up to Five Favorites. Fox Point Seasoning from Penzeys Spices. This is my favorite spice mix to have on hand. It is pricey, but so worth it because you can be a great cook without putting out any effort whatsoever. Need something to put on the chicken? Fox Point. Need something for your veggies? Fox Point. Eggs taste too bland? Fox Point. You can pretty much put this on anything and your meal is done. No recipe required. *Incidentally, I have no affiliation with Penzeys whatsoever…. I just love their spices and think that you should too! 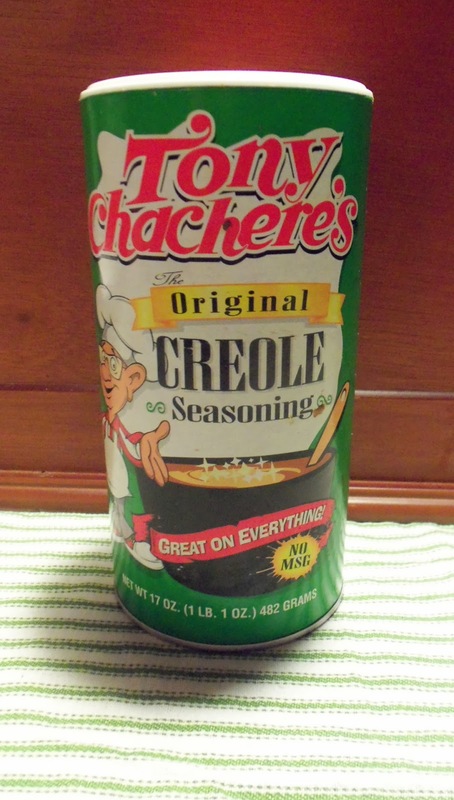 Tony Chachere's Original Creole Seasoning. This one is a little on the spicy side but my family loves it on everything! The best thing about this spice is that it can save just about any dish. Whenever I make something that is lacking in flavor, my family just asks for the Creole seasoning and everyone's happy. Magic Salmon Seasoning I resisted this one for a while. I already had the perfect seasoning for salmon (Fox Point- See #1) and I didn't think I needed to change it up. However, a few weeks ago, I broke down and gave it a try. Even once I decided to use it, I almost stopped at the last minute because it has sugar in it. There is LESS than one gram in a 1/4 teaspoon of the spice. And yet, I wondered, "Do I really need sugar on my salmon?" And the answer is, "YES I DO!" This spice truly is magical. I just followed the directions on the shaker, buttered up my salmon, sprinkled it with Magic Salmon Seasoning and the results were amazing! Here's the thing. I really did love salmon with Fox Point, but only on fresh salmon. Frozen salmon still tasted like frozen salmon. Here's where the magic comes in… I don't know how, I don't know why, but even frozen salmon is amazing once you hit it up with the magic! The only problem was that my family was so enthusiastic about the fish that everyone ended up arguing over the last piece. Right now I am loving Aldi. It seems like every time I go, I find that they are carrying something new and exciting (they now have frozen organic strawberries for less than what you'd pay for conventional at most stores!!) Anyways, I also love to take advantage of their spices. I go through a TON of chili powder, so knowing that I can buy some (that actually tastes good) for only $1.00 makes me very happy. "Homemade," taco seasoning. Or, at least, "Home-mixed." I use this once or twice a week, typically when I'm making my "taco meat," mixture of ground beef, black beans, zucchini, and onions. This is my "go to," starter for a bunch of recipes and this seasoning is what gives it all its flavor. This post for my "taco muffins," explains how I use it for my taco mixture. These are my favorites, for now, but I'm open to suggestions… I'd love to know your favorite ways to add flavor to your family's meals. Do you have a favorite spice or spice mix? *Though I don't have an affiliation with Penzeys (though I wish I did) I DO have an affiliation with Amazon… If I actually created the links correctly (which is doubtful) and you click on them, and then buy something, I'll receive a small advertising fee. 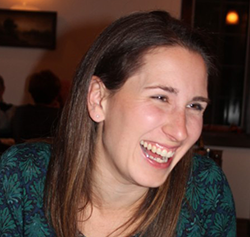 This post is linked up to: Best Mom Advice at Crystal and Co. I'm all about spices. Sometimes a little too much. My faves right now are Pumpkin Pie Spice and Apple Pie spice. Thanks for sharing these! Pumpkin Pie Spice I LOVE (and Penzeys also has a great one--- really, I should work for them! ;) ) I've never had apple pie spice, I'll have to check that out. We are *trying* to call it Tony's :) The first time that we had it, my 4 year old tried it and responded to the spiceyness by saying, "bootie pants!" (his version of a swear, I guess) Of course, the other kids thought it was hilarious and they have now dubbed the spice, "bootie pants." I don't think it's snobby at all to say that food seems tasteless when you travel. I am usually disappointed when I go out to eat… sounds like I need to go out to eat in Louisiana!! Great post! Being from Texas, we are surrounded by hot and spicy food. When my son was little he LOVED the salsa and creamy jalapeño dip at our favorite restaurant. I did not want him eating the tortilla chips as a two-yr-old, so I always took in a baggie of Corn Chex for him to dip in the hot sauce and the spicy creamy jalapeno dip. He is now 7 and still loves spicy food. 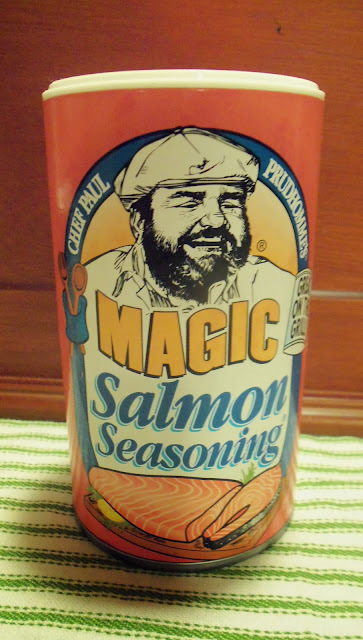 I'll have to try that Salmon Seasoning...we eat Salmon pretty often! Usually we just use sea salt...brings out the natural flavor so well. 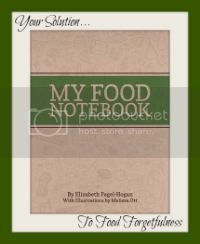 My kids LOVE strongly-flavored foods - heck, they like their spices stronger than I do! My son loves to eat black pepper straight (and hot sauce, and salt, and basically every spice there is...). Oh my goodness! I have trouble even smelling black pepper sometimes! I wasn't sure about 'comment etiquette' so I wanted to respond here too. Is that too much? I don't want to seem like a stalker ;) And we are die hard Tony's fans here. We keep getting these overseas assignments and my poor mama has to go in and buy ten bottles at a time and mail them to us every few months! How wonderful of your mom to help you get your Tony's fix :) Thank you so much for explaining how you did you design!! I've been using online photo editing sites (for free) and am running into all kinds of trouble. I'm starting to learn more and more, that you get what you pay for ;) I really appreciate your help and since you're so willing, I just may have to pester you again!